Forklift-mounted computing combines rugged construction and high-performance wireless networking to enable real-time data access and collection in the harshest environments—from the loading dock and freezer to the warehouse floor. These systems come with various screen sizes, operating systems. and capabilities, so we encourage you to reach out to a POSDATA representative to discover the solution that best fits your needs. 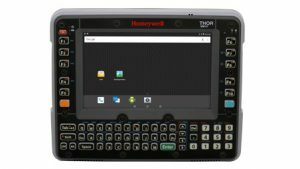 This Android-based vehicle-mounted computer model combines all of the helpful features of the popular Thor VM1 and CV41 models, but with the advantages of Honeywell’s Mobility Edge™ platform. The combination of the model’s features and access to the Mobility Edge platform will help accelerate provisioning and deployment, optimize performance, and extend lifecycle for a better investment protection and a lower cost of ownership. 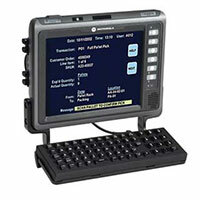 The Thor™ VM3 computer was designed to survive in the toughest environments like distribution centers, manufacturing facilities, and freight operations. In fact, it’s been described as the industry’s most capable full-size vehicle-mounted mobile computer. 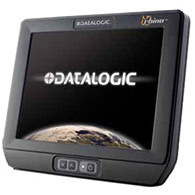 The VM3 computer combines a large display for readability (30.73 cm or 12.1 in) with breakthrough capabilities that deliver fast value for your operations. 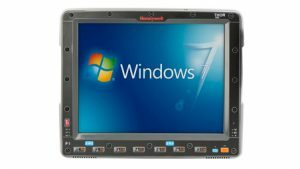 The VC70N0 is Zebra’s most rugged vehicle-mounted mobile computer. It is designed for use in extreme warehouse environments, meaning it has a dust-and-water-tight sealing and rugged aluminum construction. The compact design improves operator visibility, and the VC70N0 comes with a powerful 1GHz processor and wi-fi wireless connectivity. 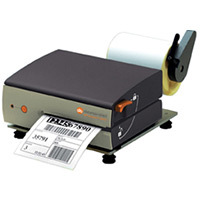 The Compact4 Mark II mobile printer is designed for installation on forklift trucks and mobile stations. It can operate from a connection to a forklift’s battery and its vibration-proof design makes it the perfect choice for warehousing logistics.